The Royal Agricultural Society of Western Australia in formed. The Society held the first Annual Fair and Cattle Show in Guidford. 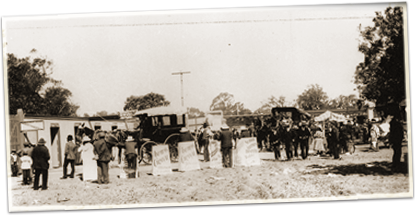 The colony’s head of stock was counted at: 84 horses, 78 mares, 307 cows, 96 working cattle, 97 bulls and steers, 3545 sheep, 492 goats and 374 pigs. 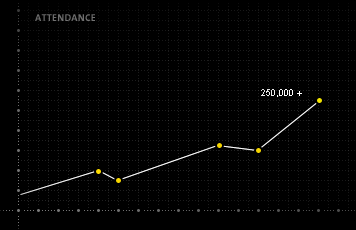 WA Population: 2,025. Sheep Population: 10,815. Agricultural regions emerged outside the Swan Valley in the Avon Valley and the Swan Coastal Plain. Annual Show held at Woolbridge, Guildford. Introduction of pastoral leases in WA. Severe depression overshadowed the Colony. As a result, the Society had difficulty in maintaining subscriptions. 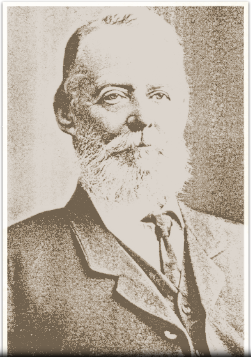 Almost 40 agricultural societies came into existence in WA. The Society was granted permission to assume the title of “Royal”. The Government granted the Royal Agricultural Society a 35 acre site in Claremont. The last show is held at the East Guildford site. The Perth Royal Show was held for the first time at the new Claremont site. Sheepdog trials were introduced to the Perth Royal Show. Claremont Showground hosted West Australian Football League (WAFL) and was used for training by sporting teams of nearby schools Methodist Ladies College and Scotch College. The Society became affiliated with the State’s various agricultural societies in a number of country centres. A bill passed investing the RAS with the necessary powers to direct affiliation with any other society, formed or unformed, in The State. Claremont Showground became an accommodation and training centre for troops of the 10th Light Horse and 16th and 14th Battalions. Claremont Speedway was established at the Showground. 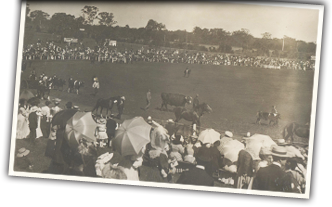 The first radio broadcast from the Perth Royal Show took place in 1928 by local radio station 6WF. The Great Depression brought about difficult times for WA agriculture as prices fell and export markets contracted. 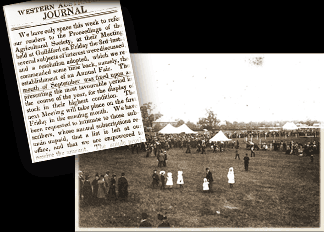 The Centenary Pavilion was erected. It was one of the largest undercover facilities in Perth. The Australian Hockey Association moved to Claremont Showground. Claremont Showground was used by military personal. 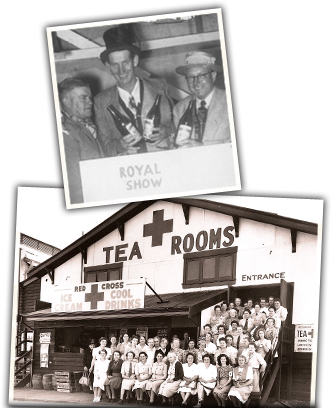 The Perth Royal Show was suspended from 1940 to 1944. The RAS coordinated a Victory Show. Post-war agricultural development was assisted by advances in technology and new areas of WA were established for farming including the Central Midlands, the south coast east of Albany to Esperance Downs, the Lakes Districts in the Wheatbelt and the Ord and Gascoyne Rivers. Australian Surf Lifesaving Championships are held at Claremont Showground. Inaugural Commonwealth Paraplegic Games held at Claremont Showground. Other sports played at the grounds included night tennis, basketball, skating, polo, rugby union and soccer. 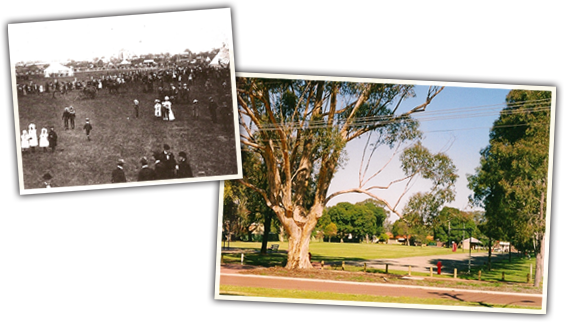 60th anniversary of the opening of Claremont Showground. Perth Royal Show attendance topped the quarter million mark for the first time. After a 30 year absence, cats were exhibited again at the Show, Billy Thorpe and the Aztecs performed and a baby animal nursery was introduced attracting 47,720 people. The District Display competition was reinstated after an absence of 30 years. Drought, the introduction of wheat quotas and low commodity prices for livestock contributed to difficult times for the agricultural industry for a number of years. The RAS move its headquarters from the CBD to Claremont Showground and a chair lift opened to the public at the Show. During a Perth Royal Show, a steer escaped form the cattle pens, ran out the front entrance, across the railway line to Bayview Terrace, headed down to the river, jumped in and swam all the way to Point Walter. 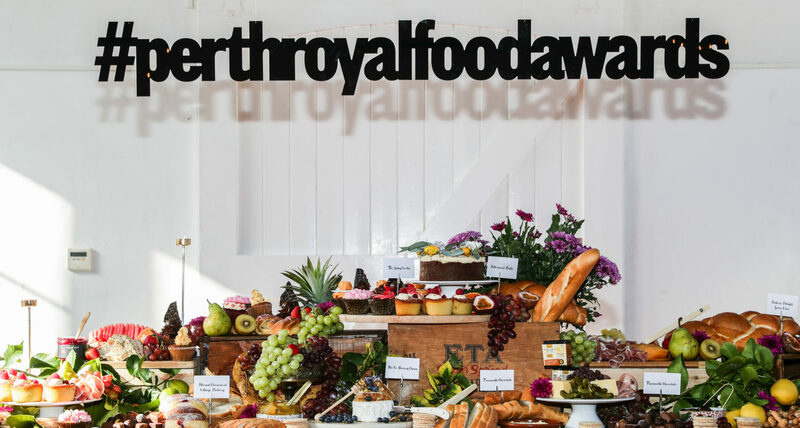 The Perth Royal Show ran for the first time on a Sunday and for 10 days straight. The new Wool Pavilion was opened for the Show featuring a 300 seat theatre. A Miss Showgirl competition was introduced. 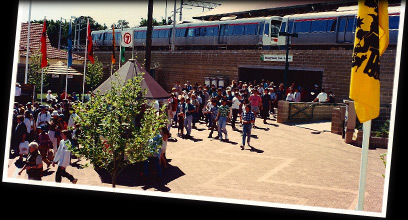 The Silver Jubilee Pavilion was opened. The 1979 Show was visited by His Royal Highness, Prince Philip, President of the Royal Agricultural Society of the Commonwealth. Prince Philip officially opened the 1979 Show, and then presided over the Royal Agricultural Society of the Commonwealth Conference, which was held in Western Australia for the first time. To contribute to the State’s 150th anniversary celebrations, the Show was held for an extended period of 16 days. 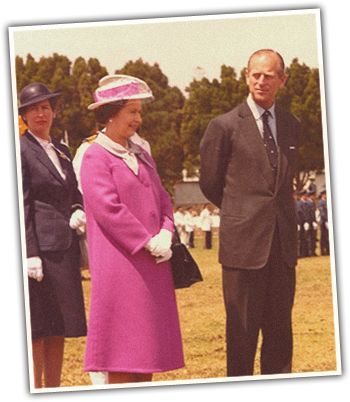 To celebrate the 150th Anniversary of The RAS, Her Majesty the Queen and His Royal Highness the Duke of Edinburgh visited the Perth Royal Show which was held at Claremont Showgrounds in the first week of October for the first time. The Agricultural Art competition commenced. Replacement and upgrading of old buildings and facilities. Improved herd quality accounted for a doubling of milk output despite a decline in dairy farms. Mixed crop and livestock farms declined. Wheat yields doubled with WA harvesting 40% of the national crop. 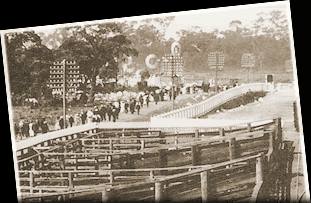 The period of the Perth Royal Show was shortened from 10 days to 8 days. A Pet Cat competition was introduced to the Show. The World Shearing Championships were held at the Perth Royal Show. The Model Railway Expo was held at Claremont Showground for the first time. A new Rabbit section was introduced at the 1986 Perth Royal Show. Western Australia reached wool clip reached a new record with 231,000 tonnes set, while the WA Sheep population peaked at 38.5 million before declining significantly in the 1990s. The Showground Equestrian Centre opened. 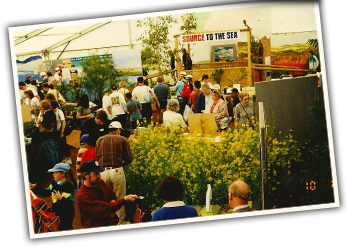 The Landcare display was introduced to the Perth Royal Show. 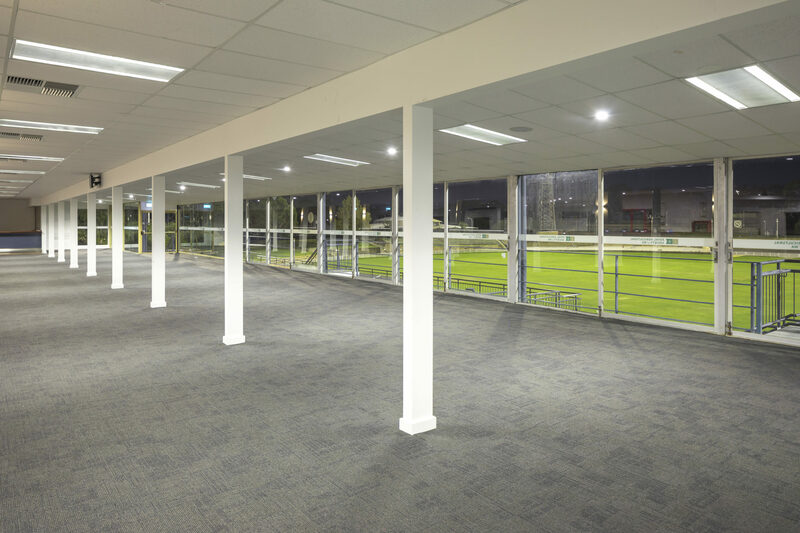 A 7,500 square metre exhibition centre was opened at Claremont Showground. The Red Cross Bindaring Clothing Sale commenced at Claremont Showground. The new Showground Railway Station was constructed allowing commuters direct access to the Showground. The old Pig Pavillion and the Trade Cattle pens were demolished and redeveloped. A new horse complex and Ringmaster’s office was built. The Showground Police Station opened, serving as a year round community policing and training venue. The RAS won an Advance Australia Award for Outstanding Community Service. A new “Elders” entrance was completed and the Jim Webster Pavilion opened showcasing fresh foods. Arena access tunnels were built. 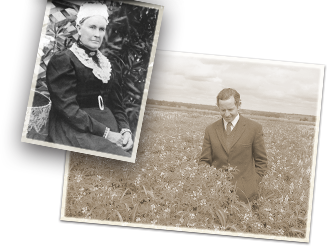 The Agricultural Hall of Fame was established to pay tribute to the men and women who shaped our history and influenced the development of agriculture in Western Australia. WA becomes Australia’s largest canola producer. The David Buttfield House was restored to accomodate the Agricultural Hall of Fame. 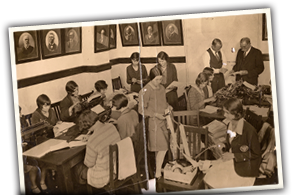 The Wool Pavilion was renamed the Ellie Eaton Pavilion after the first woman RAS councillor. National touring festival the Big Day Out was held at the Claremont Showground for the first time. 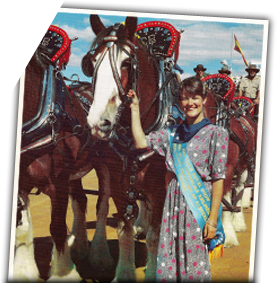 In 2004 The Perth Royal Show was named a WA icon by the State Government. Inline hockey was first played at the Claremont Showground. 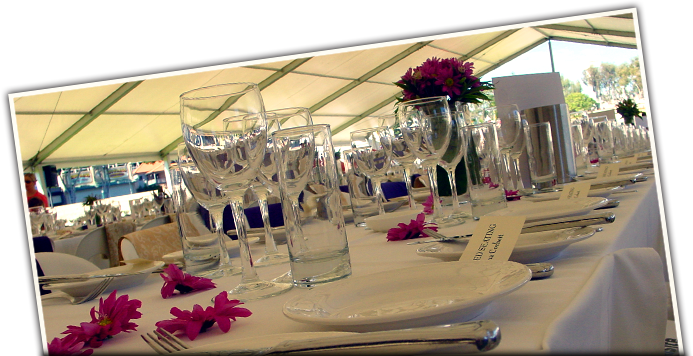 The first Long Table Lunch for breast cancer research was held at the Claremont Showground. Caravan & Camping Show moved to Claremont Showground. 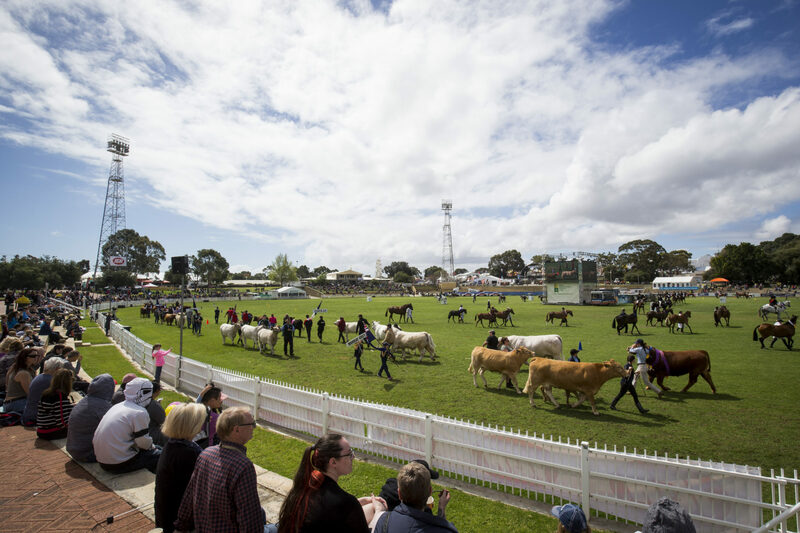 The Perth Royal Show welcomed its first naming rights sponsor, IGA. 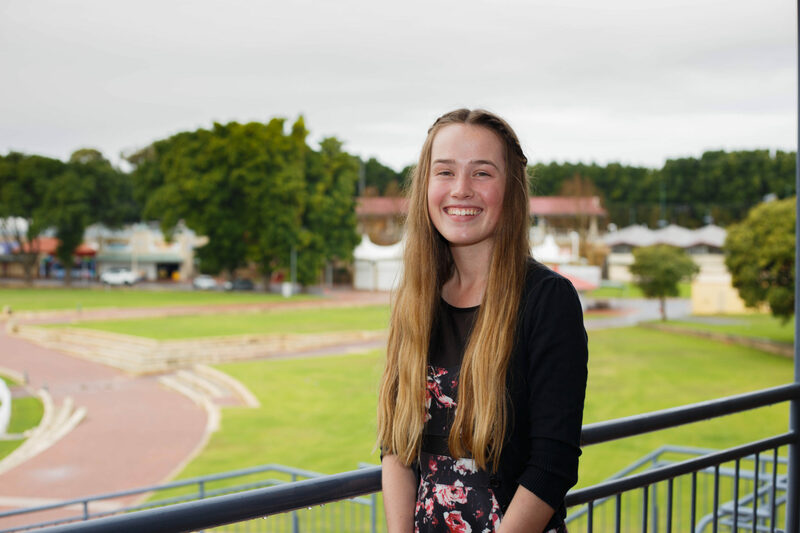 The Perth Royal Show was the first community event in the world to become smoke free. 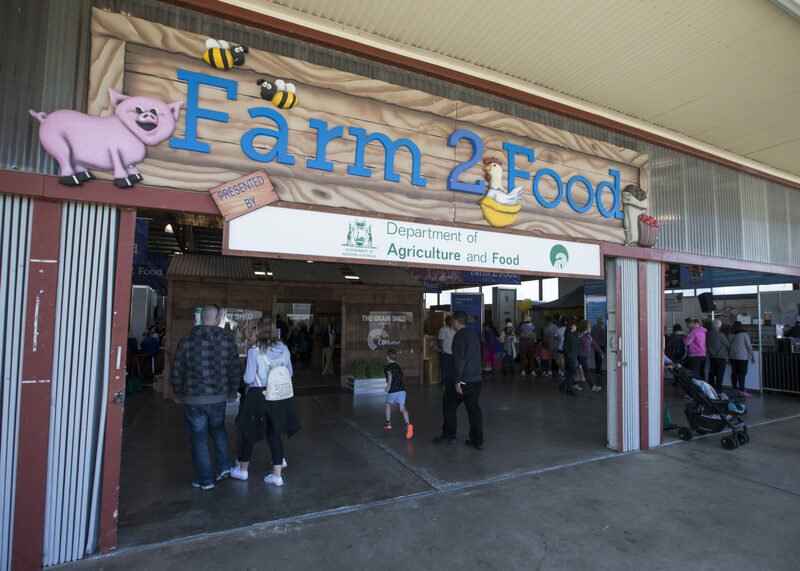 The Royal Agricultural Society of WA was awarded the Australian Medical Association’s Healthier WA Award for its decision to make the Perth Royal Show smoke-free. The ‘A Pound of Flour’ cookbook by Pam Casellas was published paying tribute to the winners of the Perth Royal Show Cookery competition. 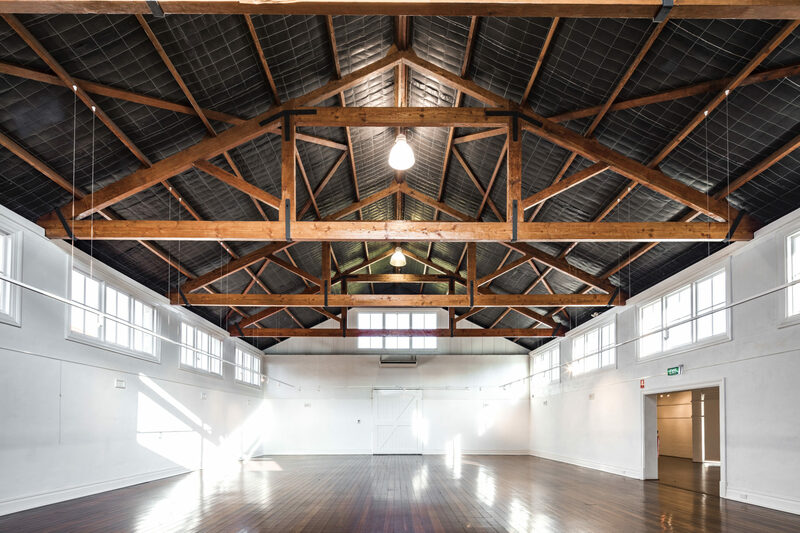 Refurbishment of the Wilkinson Pavilion restored the heritage building to its original glory, creating a year round gallery for emerging artists. Restoration work on the Centenary Pavilion commenced and the Wilkinson Gallery was refurbished and exposed the original oak beams. The Show is announced as the first in a series of State-wide celebrations culminating in Perth, hosting the Commonwealth Heads of Government Meeting (CHOGM). All children 12 years and under receive free entry. State Government provided funding for “Kids Free” to agricultural shows across WA (until end of 2014). Mini Royal Show held for patients, families and staff at Princess Margaret Hospital. First three-year Youth Scholarship supported by Bendat Family Foundation was awarded. New interactive Farm 2 Food display was extremely popular at the Show. Major upgrade of the Robinson and Silver Jubilee Pavilions, Members Lounge and the Grandstand. Claremont Football Club move to Claremont Showground during the redevelopment of their facilities. Concept Plan approved for the Redevelopment of Claremont Showground. 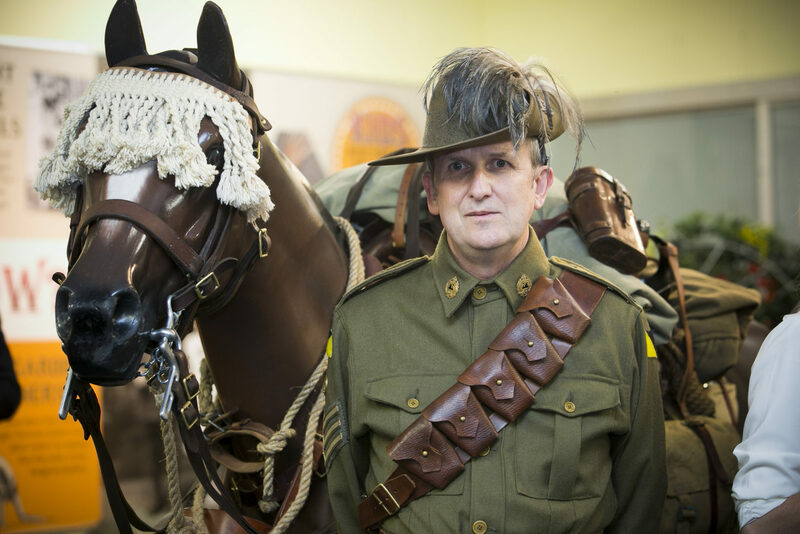 As a tribute to the ANZAC Centenary Celebration, the 10th Light Horse held a display at the Perth Royal Show. RASWA Council approved new logos for all encompassing brands. 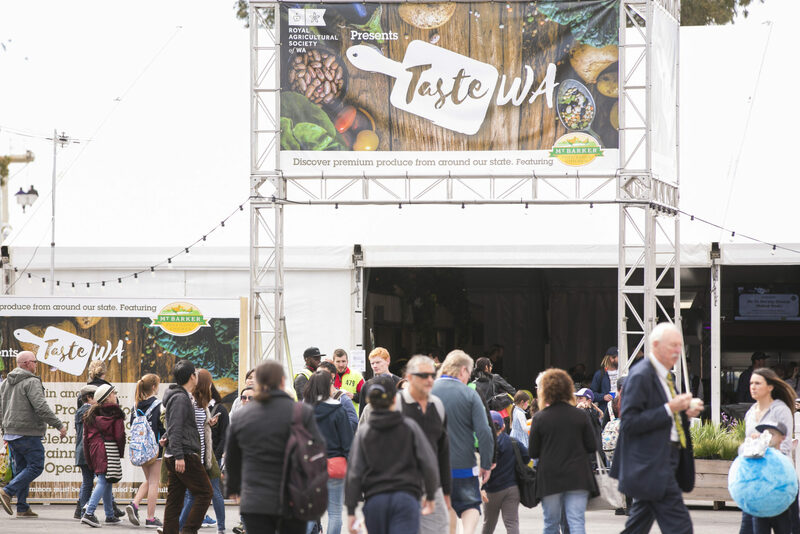 Taste WA, a premium food pavilion was first introduced to the 2016 IGA Perth Royal Show. 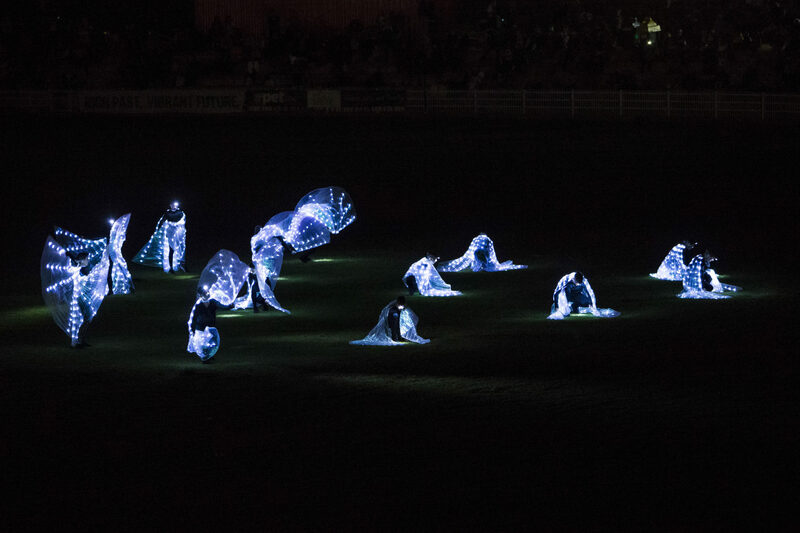 The Australian first ‘Dance of the Drones’ performed at 2017 IGA Perth Royal Show. 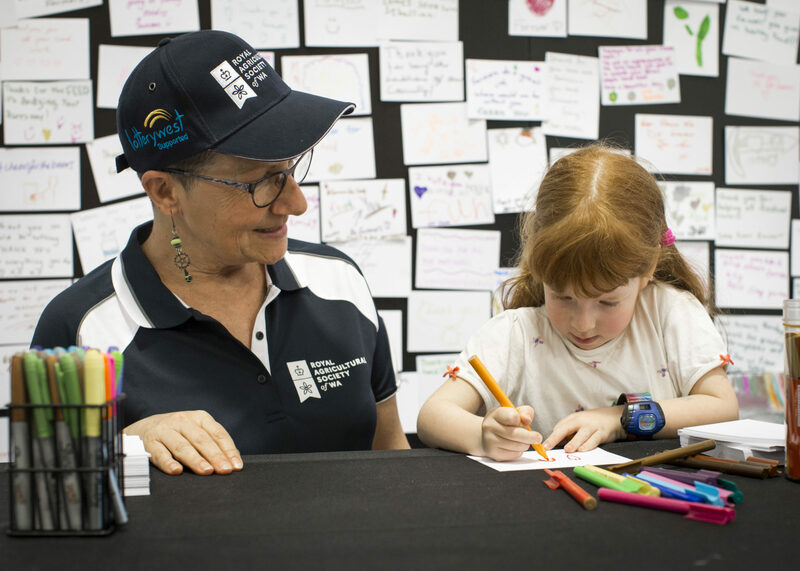 Almost 2,000 people left messages on the ‘Thank a Farmer Wall’ at the 2018 IGA Perth Royal Show. The revised Management Plan for the Redevelopment of the Claremont Showground was submitted to the WA Planning Commission for community comment.